A Gardener’s Reading, 28 of 30. A couple of years ago, I started to notice more and more gardens that seemed to be built around wildlife. Maybe this is a trend; maybe I just opened my eyes, but it seemed that more people were concerned with providing the water, food, shelter and cover that birds, bees, butterflies and other animals need to thrive. I accidentally planted a garden that wildlife love, but now that we have so many birds and critters around, I want to make it even better. This book by Oregon-based Beth O’Donnell Young will help me achieve that goal. 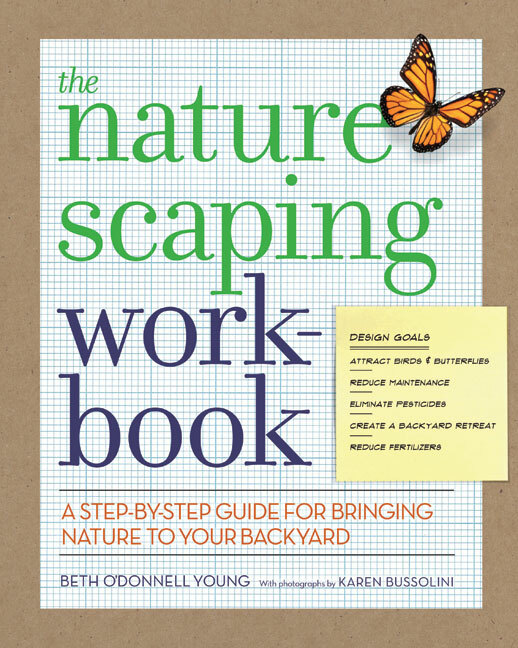 What I like about this book is that it provides a step-by-step guide through the process of creating a habitat in your yard. It’s a more mindful approach than just planting some shrubs with berries — though that, too, will attract wildlife. 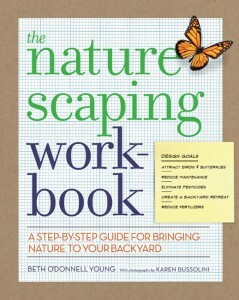 Young begins by setting down some principles of naturescaping, involving everything from managing runoff to thinking in terms of ecosystems and habitats. She also asks readers to take an inventory of what they have in place already, including structures, views, drainage, neighbors and city regulations. The checklist highlights many of the stumbling blocks to creating the garden you want, which will make gardeners more savvy about the changes they attempt. Next, Young has readers map out and define zones within their yards so they can determine how to make each area more attractive to the wildlife they want (and less attractive to the wildlife they do not want). Finally, she has readers think about plants and design strategies for each area. This step-by-step approach, along with the checklists and maps Young uses as examples, make this a great choice for folks who want to get serious about creating a beautiful landscape for wildlife and people. My only quibble with the book is that Young’s location in Oregon (where you can grow just about anything) shows in some of her plant recommendations. Northern gardeners should use this book for planning and designing, then consult with a local nursery or more northern-oriented books when deciding which plants to choose. Still, this is a terrific book that I will be using myself as well as lending to friends. Thanks for the suggestion. I always love a good gardening book!